Despite many fans and fellow UFC fighters would agree that Fedor Emelianenko is one of the best mixed martial artists of all time, the guy with the biggest mouth in MMA, Chael Sonnen, has again something to add. This time, he is not impressed with a “dumpy dwarf”, despite his victories over Mark Hunt, Mirko Cro Cop, Frank Mir, Andrei Arlovski, and two victories over Antonio Rodrigo Nogueira. After few ups and downs in the Strikeforce fighting championship, and defeats to Dan Henderson, Fabricio Werdum, and Antonio Silva, followed by a brief retirement, Fedor Emelianenko has finally found his stairway to heaven under the Bellator MMA umbrella. His current record is 37-5, with 1 no contest. Fedor Emelianenko currently has the score of 1-1, receiving a brutal TKO to Matt Mitrione and clearing Frank Mir off the mat. Two extreme cases! 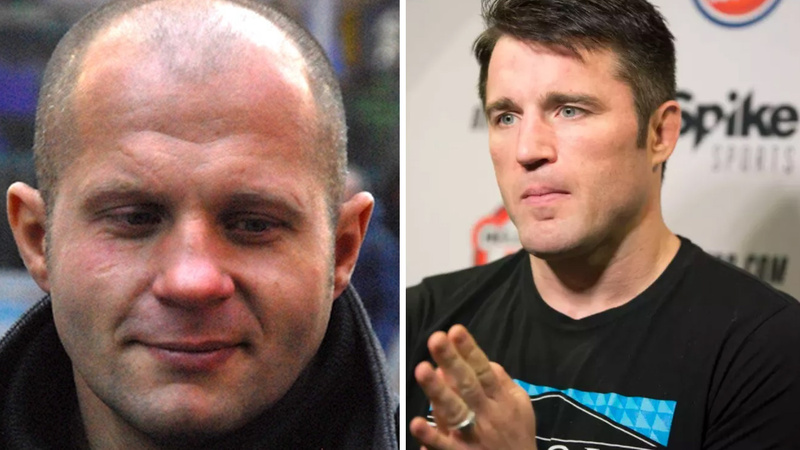 But there is a good reason why Chael Sonnen barks again – Fedor Emelianenko has progressed into next round of the promotion’s Heavyweight Grand Prix opposite him! Sonnen also claims he didn’t accept Fedor’s “fake victories” in Japan. We have two questions for you. First, is there anyone who could pay a tongue removal surgery to Chael Sonnen? Second, who do you think is going to win this showdown? Knowing The Last Emperor, he will speak inside the octagon!